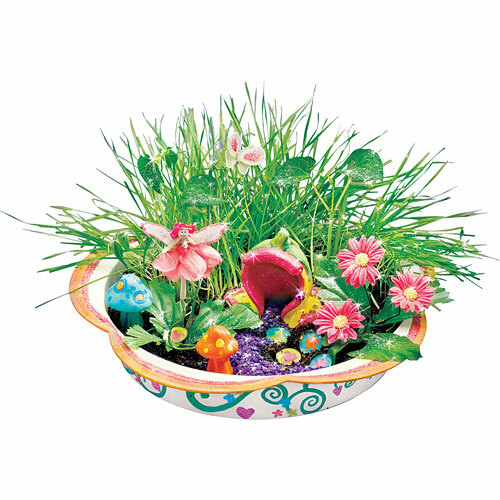 Paint the house and flower-shaped dish, plant the seeds and watch the garden grow! 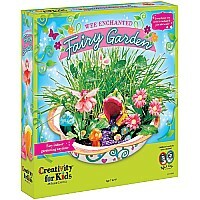 This enchanting kit has illustrated instructions with lots of ideas. 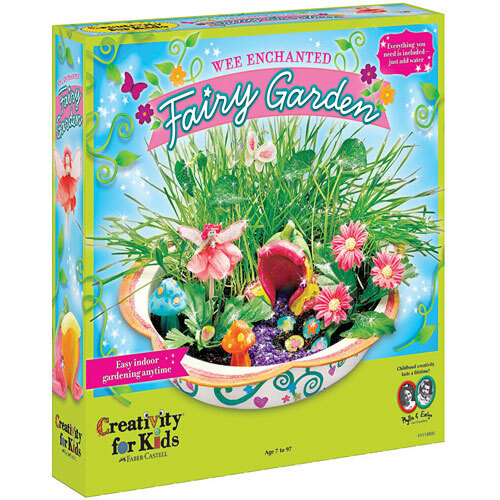 Decorate with the gemstones, mushrooms, glitter, flowers, toadstools, butterflies, and – of course – a sweet fairy!! For ages 7-12 yrs, from Faber-Castell.